Rajan Suri is one of only 10 people to be inducted into the Industry Week 2010 Manufacturing Hall of Fame. 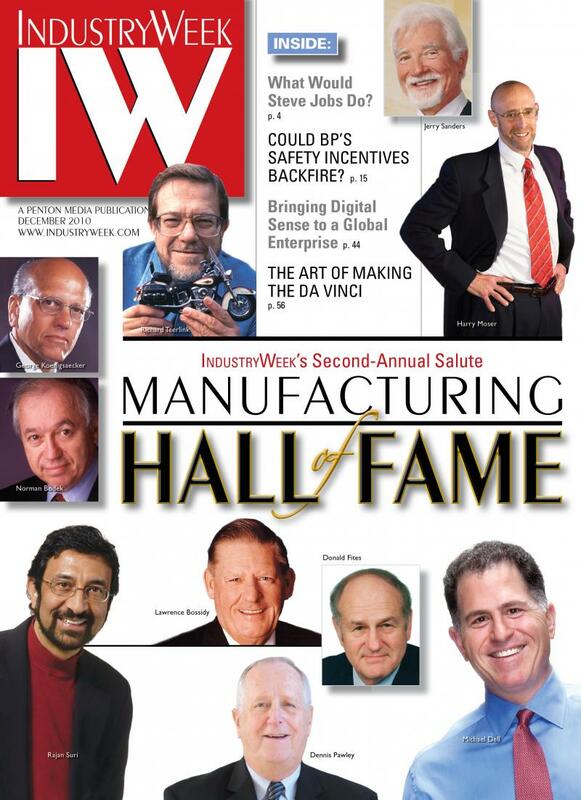 The Hall of Fame recognizes individuals who embody the best of U.S. manufacturing. Thanks to their leadership, vision, talent, work ethic and innovative ideas, the 10 members of this year’s Hall of Fame class have both created new manufacturing organizations and made existing ones more productive, more efficient, more competitive and more profitable. Suri was honored for the development of the Quick Response Manufacturing (QRM) strategy and his long-standing efforts in helping U.S. manufacturers stay competitive in the global marketplace. Others in the 2010 Hall of Fame include Michael Dell (Founder of Dell Computer), Donald Fites (Former CEO of Caterpillar) and Rich Teerlink (past Chairman/CEO of Harley-Davidson). Last year, the 2009 Hall of Fame included Steve Jobs (of Apple Computer), Lee Iacocca (former head of Chrysler) and Jack Welch (former head of GE and famous for Six Sigma efforts).